200 copies, they’re sure to sell fast so get yours while you can!!! The book features over 120 photos from the 1880s to the 1980s. Books are also available at the Oceanside Historical Society, the Oceanside Chamber of Commerce and the Oceanside Visitor’s Center. All proceeds will go directly to the Oceanside Historical Society! 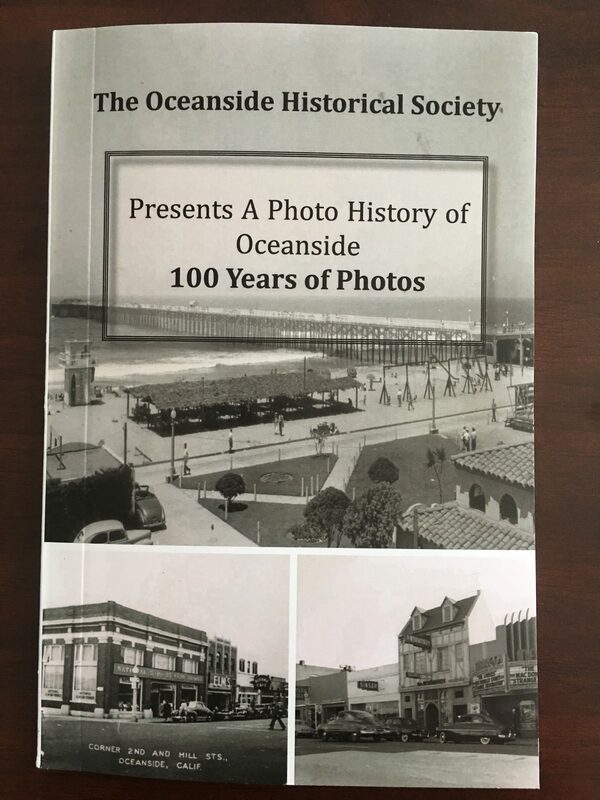 Published in 2000, and written by historian Kristi Hawthorne, this is a beautiful hardbound book, which details much of Oceanside’s rich history. 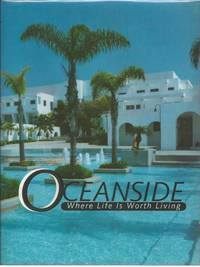 “Oceanside, Where Life is Worth Living” was a popular slogan used by the Oceanside Chamber of Commerce from the 1920s through the 1940s. This book recalls the individuals and families that lived and settled in the San Luis Rey valley and who later helped to develop the town of Oceanside. It remembers the persons who built Oceanside, the men and women who raised their families here and the events that impacted them, such as the 1916 flood, the Depression, World War II and Camp Joseph H. Pendleton. This nostalgic and personal account was written through the eyes of those who love Oceanside, the old and the new and taken from personal stories from Louise Foussat, L.C. Settle, John Steiger, William Reid Couts, Lionel Van Deerlin, Ernest Taylor and David Rorick and a host of longtime residents. The majority of the 275 photographs came from persons throughout the area including Paul Pace, W. Bruce Howe, Delores Davis Sloan, the Daley family, Margaret Higley, Randy Mitchell, the Martin family, and Phoebe Borden-Witzel. Books are currently available at the The Oceanside Historical Society, 305 North Nevada Street and the Oceanside Welcome Center, 928 North Coast Highway, 721-1101, or just click the PayPal link below, and we’ll send it to you right away.